As high school football teams took the field Friday night, they had more to worry about than just the other team: The heat was the real opponent. "We've got ice, we've got waters, and we've got the misting fans," said Steve Koch, Jesuit College Preparatory athletic director. Koch said Jesuit coaches started prepping their players well in advance of their opening game Friday against Flower Mound High School. He said coaches would weigh the players before and after practice. The players wouldn't be allowed to return to the following day's practice until they regained whatever weight they lost. High school football is back. And this year, it's also tackling triple-digit heat. "So they're just hydrating all day long, all week long," Koch said. During the game, both Jesuit and Flower Mound made sure to have plenty of water on hand for the players. Jesuit even went as far to have a tank to dunk a player in if he got too hot. 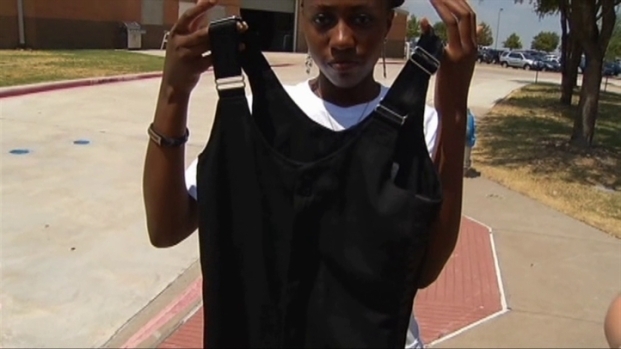 Highs schools are taking precautions to keep their students safe from excessive summer heat. Across the field during the game, Cathy Hirst was cheering on her son, who plays for Flower Mound. "We told them that it's their job to hydrate and that if they don't... by the time they figure out they're not hydrated, it will probably be too late," Hirst said. In the end, there was a lot of sweat, but no emergencies. And players said they're just counting down the days until fall. 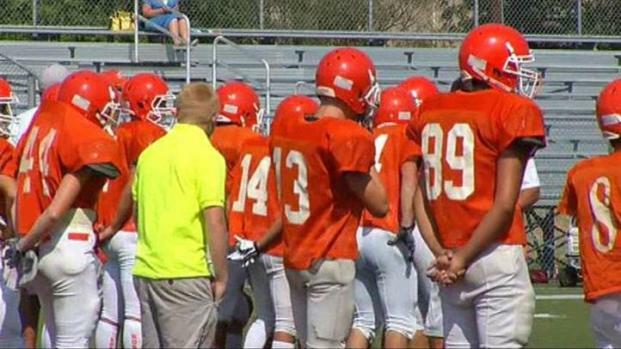 High school football players in Celina are battling high temperatures on the field in hopes of making the team.